Today there are hundreds, if not thousands, of recruitment and marketing strategies to meet your enrollment goals, whatever they may be. 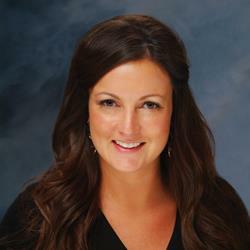 In my previous experience as a enrollment manager, I often question which of these strategies are just passing trends and which are here to stay. Which have the best ROI? And how do I remain agile in a rapidly changing, technology driven environment? I had a conversation with my friend, Gil Rogers at PlatformQ Education, to give me his recommendation on best practices in engaging Gen Z. His answer: online engagement planning. In this post, I asked Gil to dive in deeper and tell me everything I should know about online engagement planning. How do you define “online engagement planning”? Online engagement planning is thinking beyond the simple tactics of live online engagement activities like webinars and chats and truly thinking through how these unique opportunities can be woven throughout a broader enrollment marketing campaign. Phone, e-mail, and direct mail are all communications channels we have used to distribute information and engage our prospective student audience for years. Webcasts, social media streaming, and online chats are simply additional communication channels for reaching and supporting students. With that said, just like direct mail and e-mail, using these channels without a proper plan can do more harm than good. That’s why it’s important to have a strategic look at how these initiatives can support conversion and yield versus simply adding to the noise. What are the benefits of online engagement programs? Online engagement programs can boost conversion and yield by filling in the cracks in our recruitment funnels. 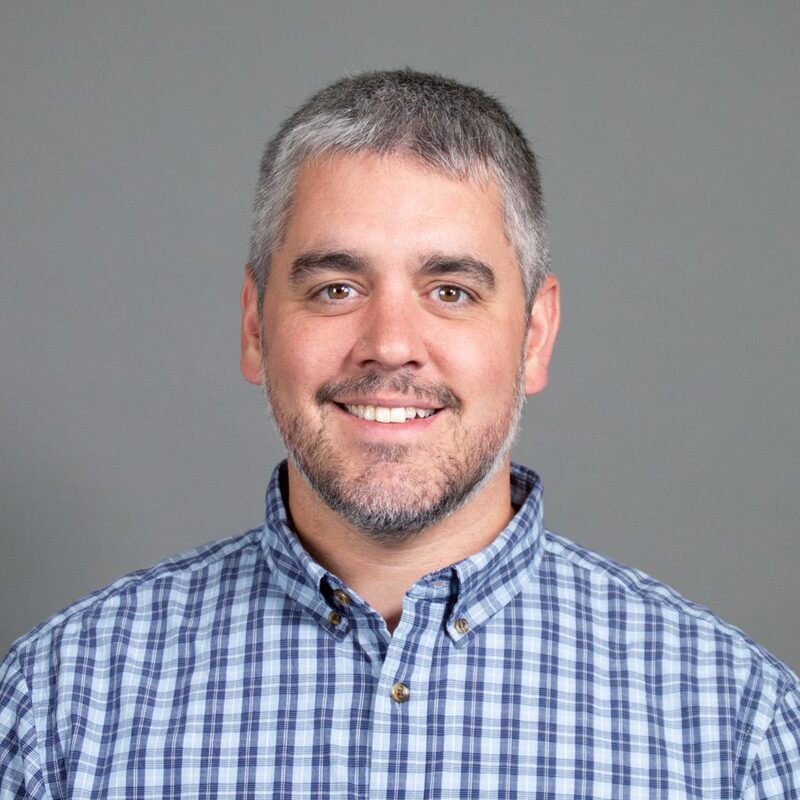 In fact, data show that institutions that pair online engagement planning and strategies within traditional enrollment strategic planning see a 35 percent lift in inquiry-to-applicant conversion, a 25 percent higher application completion rate, and an overall boost in inquiry-to-enrollment rates by 7 percent. Online engagement can be fun, too. Your Millennial admissions staff and student ambassadors may get a kick out of seeing themselves on Facebook Live or feeling like they are actively engaging interested students with a live chat. Additionally, online engagement can be tracked and measured. This gives us the insights we needs to craft everything from follow-up messaging to our existing prospects to modeling the pool of future prospects. How should busy enrollment managers best include tactics like webcasting and online chat into a broader enrollment plan? What’s most important when building an online engagement plan is understanding your goals. If you are focused predominantly on putting the freeze on summer melt, it would be best to partner with your orientation office to build an online summer series like the University of San Diego does. This brings your “transactional” content of orientation online, which helps students build a better sense of community on campus. If you are looking to boost yield, it is best to host an admitted student webcast in the spring like the University of Tampa does. In fact, Tampa sees yield rates from their online webcasts eclipse their traditional yield rates by 35 percentage points alone. 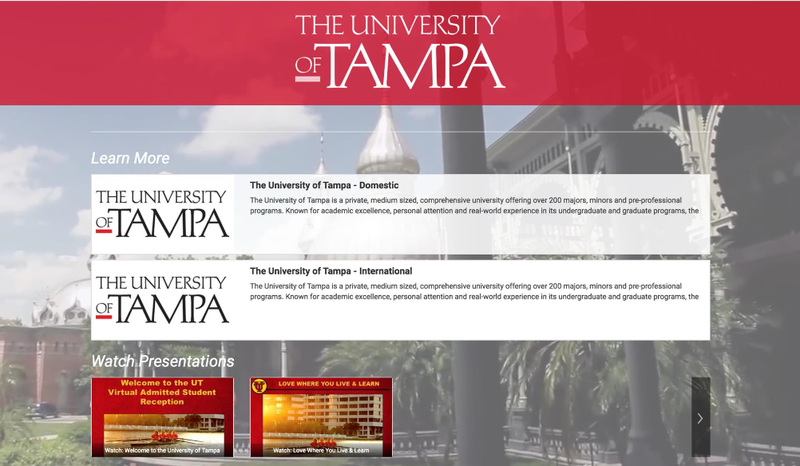 The University of Tampa has seen yield rates from online webcasts increase by 35 points over their traditional yield rates (click to watch the webinar on how they did it). Ultimately, as mentioned earlier, it’s important to start with the goals in mind. Once you know if your focus is application generation, conversion, yield, or triaging melt, the process of developing a content calendar gets much easier. How can be sure an online engagement plan can really move the needle? There are many ways to measure the outcomes of an online engagement plan. The simple method is to match attendees at webcasts and chats with your enrolled student database to see how many students who attended events ultimately enrolled. However, to do this, you must be set up for success in the first place. One of the challenges that arises when building an online engagement program is that students tend to create multiple e-mail addresses for various activities during their college search. This puts you at risk for creating duplicate records in your CRM, which makes measuring end results difficult. With that said, hosting webcasts exclusively on social media (ex. Facebook Live) means that you will not be able to track outcomes beyond number of “likes” and views. Much like digital marketing at the top of the funnel, “likes” on social media are meaningless nowadays when it comes to communicating outcomes. It’s all about conversions. To best communicate enrollment outcomes it is important to take the necessary steps to eliminate duplication of data. This includes unique ID matching and direct login links (like the Q-Token system in the Conduit platform). Cleanliness of data is paramount when it comes to evaluating the impact of any enrollment effort with respect to final outcomes. What are the biggest challenges when building an online engagement plan? For many institutions, online tools can create a challenge with respect to compliance with Section 508 standards for accessibility and GDPR regulations for privacy. It is important when you are evaluating online tools and strategies to review documentation for each of these to avoid issues. You should be able to find VPAT documentation and GDPR compliance statements for online engagement software providers on their website. 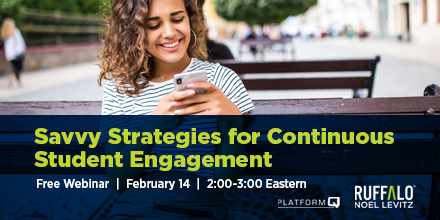 Gil Rogers of PlatformQ Education and Todd Abbott of RNL will dive into this topic during our webinar, Savvy Strategies for Continuous Student Engagement. Spend an hour with them as they explore how to engage students by providing more authentic experiences online. Reach Ashley by e-mail at Ashley.Spain@RuffaloNL.com.